Known for the best innovative trailer accessories, Pit Pal has you covered when it comes to loading/unloading your vehicle. Ramps, risers, and stops sold in pairs. Available in three lengths (36", 60", 72"), these ramps are fabricated from sturdy .125" aluminum with TIG-welded reinforcing ribs. Steel-plated hinges and rivets included. In three heights (2.5", 3.5", 4.5"), these risers are made of 1/8" aluminum with internal bracing. They raise ramps to achieve ideal approach angles and can be mounted to Dual Extension Ramps (trailer door must be same height as risers when in use). Designed for low front end cars and to fit tread widths up to 14.5", these aluminum helpers lift the vehicle 2" to allow a jack underneath or to fasten the car to the trailer. Additionally, the stops "park" the vehicle once inside the trailer. 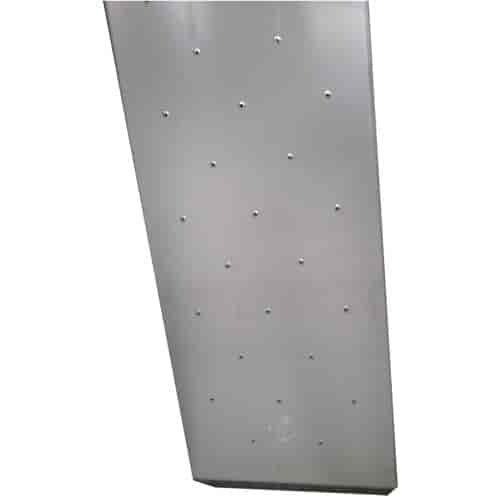 Use these bumpers to protect your trailer door. You can even adjust the entrance angle to accommodate extension ramps (combined bumper-door thickness should equal total height of ramp). Also great for replacing old or broken bumpers.